Carolyn Steel is an architect and writer. She combines her architectural practice in London with teaching and research on daily life in cities. She writes about the relation between food and the city and gives lectures all over the world. Her book ’Hungry City’, which has been translated in several languages, is a worldwide bestseller. Barbara Adriaensen graduated as an architect in 1993. After a professional stay in Exeter (GB) she worked for several architectural offices in Belgium. 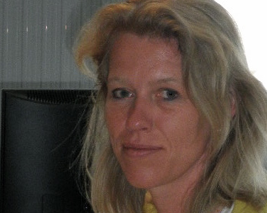 Since 1998 she has been employed as a project architect at the City of Mechelen. Currently she is involved in some major city projects. Her special interests include sustainable urban development and research for affordable housing.